The river already is under stress, residents who live along the river said, and withdrawals aren’t appropriate anyway because neither Walton County nor Oconee County, partners in the project, needs water from an expanded reservoir. The citizens made their comments during the open citizen section at the beginning of the Board of Commissioners meeting, and members of the Commission did not take any action. In other business, the Commission awarded a contract for $2.6 million to E.R. Snell Contractor of Snellville for road improvements for the Dove Creek Elementary School now under construction on Hog Mountain Road in the far west of the county. The Board also gave first reading to a revision of the county’s development code to allow for more flexibility in landscaping of development sites. Residents living along the Apalachee River in Oconee and Morgan counties have organized themselves as the Greater Apalachee River Community, which took lead in getting people to the meeting tonight. Approximately 60 people filled the Commission Chamber and spilled into the hallway outside. “The flows of the Apalachee have been decreasing over the years,” Amy Lanclos, 1670 Gober Road, in Oconee County, told the Commission. She was the first of seven who spoke about the river at the meeting. Lanclos said that data from Price Mill Road just downstream from the proposed intake facility show that annual stream flows in the river have decreased by 20 percent since 1999 and by 13 percent since 2004, the year the original permit to withdraw water was granted. The Walton County Water and Sewer Authority at present holds a permit from the Corps of Engineers to withdraw water from the Apalachee River from a site in Walton County above a small hydroelectric plant at High Shoals in Walton County. The intake facility would be built on the river’s edge, according to plans submitted with the permit modification request, and would require excavation and reshaping within the river bed to align river flows toward the intake facility. Approximately 270 cubic yards of streambed is proposed for removal. Loren Moores, 1550 Gober Road, who lives on the Oconee County side of the river opposite the proposed intake site, said those changes to the river would adversely affect his property. “I don’t see how in the world you are going to deepen that channel without affecting our property,” Moores said. Lanclos told the Board of Commissioners that the citizens expect to be a granted a hearing by the Corps of Engineers on the permit modification request. At the end of the comments by other citizens, I suggested the Board of Commissioners support the request by the Morgan County Board of Commissioners for a public meeting–separate from any hearing called by the Corps of Engineers–on the permit request. I also suggested Oconee County hold a local meeting to explain the county’s obligations to and expectations from the Hard Labor Creek Regional Reservoir project. The county received two responsive bids for the road work at the entrance to Dove Creek Elementary School, under construction on Hog Mountain Road between Osborne Road and Dewey Road near the Barrow County line, County Public Works Director Emil Beshara told the Board. G.P.’s Enterprises Inc. of Auburn, which has the contract for the Mars Hill Road widening project, bid $4,485,688, according to a tabulation of bids on the county web site, while E.R. Snell’s bid was $2,573,673. Beshara said the Snell bid includes paving of the re-aligned Osborne and B.M. Osborne roads at the school site as well as work within the right of way for Hog Mountain Road, a state route. Beshara said the county will have to spend an addition $275,403 for grading and base work on the roads and related work. Board of Commissioners Chair John Daniell said the money for the contract with Snell will require the county to draw down its Fund Balance by 20 percent. He did not identify the source of the money for the county’s investment in the project. Daniell said the county will seek a grant from the Georgia Department of Transportation for school access to cover some of the costs of the project. The county moved forward on modification of the parts of its Unified Development Code dealing with landscaping following citizen pressure to modify the document voiced at a Town Hall meeting in January. Justin Kirouac, county administrator, said the changes would increase the options for developers in selecting plants and placing them on sites in the county. “The current ordinance is not very flexible,” he said, and the revision would allow greater plant variety and encourage such things as the use of permeable parking surfaces. The Board gave first reading to the ordinance change and is scheduled to take final action at its meeting next week. 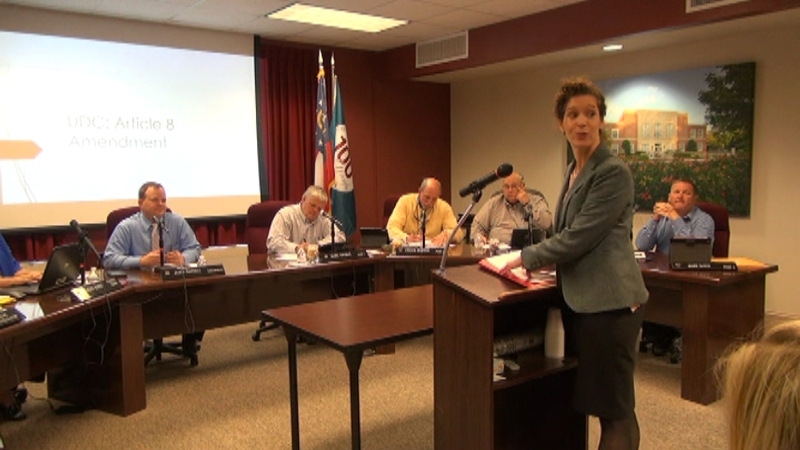 The video below is of the meeting of the Board of Commissioners. Citizen comments begin at 1:08 in the video. Kirouac’s presentation the Unified Development Code modifications dealing with landscaping begins at 27:08. Beshara’s presentation on the 37:39. OCO: BOC 3 27 18 from Lee Becker on Vimeo.